Many youth, high school and college coaches ask me for ways to improve the efficiency and effectiveness of their practices. Here's a "perfect practice plan" that will help you become a better coach, while giving your players the chance to improve at a faster rate and have fun. Duration: The plan is for a 90 minute practice with two coaches providing instruction and 12 kids per team participating. Forget the lap and stretch. Use movement preparation to prepare for game conditions. Start on one knee, and work up to a regular standing throw. Most throwing warm-ups are not supervised carefully and are therefore mindless.Have the players develop proper throwing and catching mechanics. Proper habits developed now will last a lifetime and really pay off down the road. Now is a great time to teach proper base running, while also developing conditioning and getting the players ready for the rest of practice. I like to split the players into two groups (one coach with each). Have half of the kids go from home to first and work on rounding the bag, while the other group is scoring from second base. Each player can get three to four trips around the bases in five minutes. Break into groups of infielders, outfielders and catchers. Coaches should hit balls (or if you have pitchers who are only pitchers) but it should be one right after the next. For example, hit to third and first, and they throw across the diamond. Right after you hit a ball to the third baseman, hit one to the shortstop, and have the middle infielders working on plays as 2B. If you have more than one coach you can have more than one hitting grounders, or have one roving coach helping out with instruction. Again, break players into groups. The age groups and how many coaches you have will determine how many stations you can have. The more the better, as this means more swings in the given time frame. Obviously with six year olds you cannot leave them alone doing tee work, but with older kids you can. I use many different stations with tee work, soft toss and live hitting. The goal is 60-75 swings total each in 20 minutes. Time here will depend on the age you are coaching. 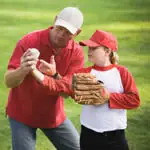 The more inexperienced the more time you will need to spend on baseball basics. But even high school and college teams will benefit from situational drills. This work can win -- or lose -- many games during the season. Rotate groups of three runners with fielders. This is also a great conditioning drill for the base runners. This is where three kids are up to bat, and the other nine are in the field. One or two of the three kids up to bat are on base, and a situation is given to the fielders. A live pitch is thrown, and the fielders attempt to make the play. The hitters switch each pitch, and groups of three are rotated. I also encourage using players at different positions so they know what to do at all times. I always like to put some fun conditioning drills at the end of practice. The kids love it, and they really receive great benefit as well. Some examples are sprinting competitions, medicine ball throws, football passes, pushups and general physical preparation. Keep it upbeat, and keep it fun! Fun! If practice is fun, the players will be focused. They will give 100 percent, and they certainly will look forward to each and every practice. Keep them moving. Players should not be standing around. They should always be moving or learning. Always focus on positives. In my opinion there is never a good reason to yell or be negative during practice. If a kid needs to be disciplined, that's another story, but I still don't think yelling needs to be involved. Jon Doyle MA, RTI, CSCS is a world-renown strength & conditioning coach. His website,www.BaseballTrainingSecrets.com , continues to be the worldwide leader in developing baseball-specific training techniques for all ages. We encourage you to visit Jon's Web site now, as you can receive a FREE subscription to his Baseball Training Tips Newsletter.